This two day class suits all levels and is possible for the absolute novice. A useful tote bag is created while students learn basics about fabrics, squaring, cutting, piecing, and pattern reading. General machine instruction is given. 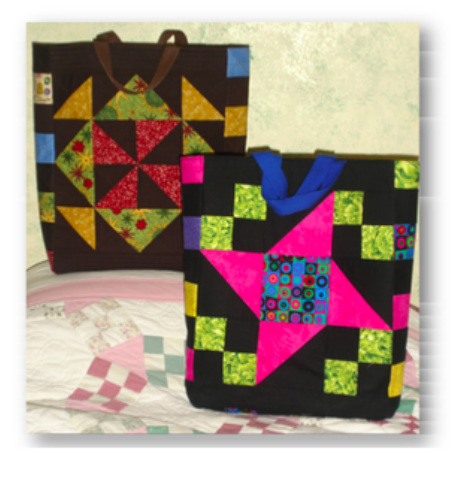 Students also learn the easy way to do strip piecing, half-square triangles, flying geese and simple machine quilting. Detailed coloured notes are provided to help students remember every step. A very satisfying project and great introduction to quilting.